We have a new winning Cookie Club recipe in the Jones household. Hands down, this one is everyone's favorite. I changed the recipe a bit and used only dark chocolate chips; instead of semi-sweet chocolate chips. The result? Perfection! 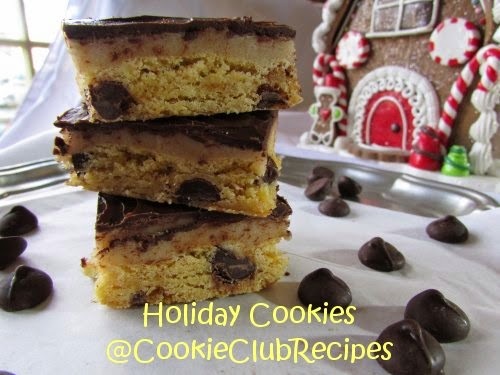 When submitting this recipe to share with our club many years ago, Julie wrote, "This recipe was given to me by a friend. 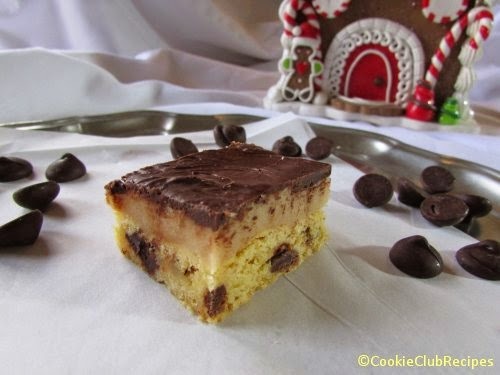 These cookie bars are a big hit!!!!!!!" 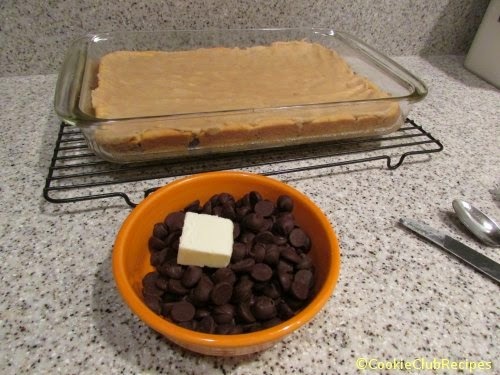 Mix together cake mix, softened butter, egg, vanilla, and brown sugar. Stir in dark chocolate chips. 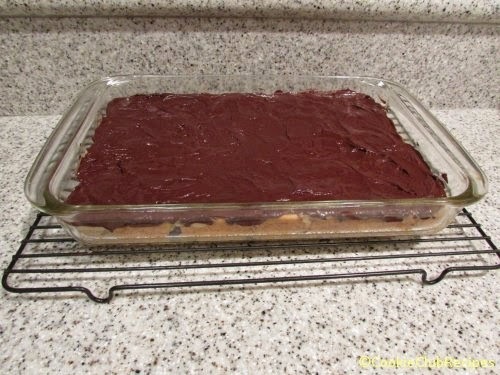 Spread mixture into a 9x13 lightly greased baking pan, pressing down lightly to create a smooth even layer. Bake 20 minutes or until light golden brown. Cool for 1 hour. 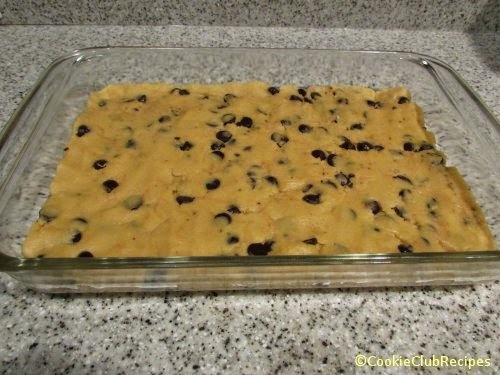 Now that the Blondies are baked and cooled, it's time for the cookie dough! 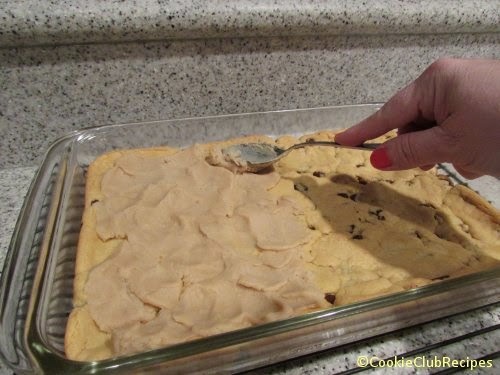 Note: If using the same mixing bowl, wash it well before making this layer. It has no eggs and we want to keep it that way. 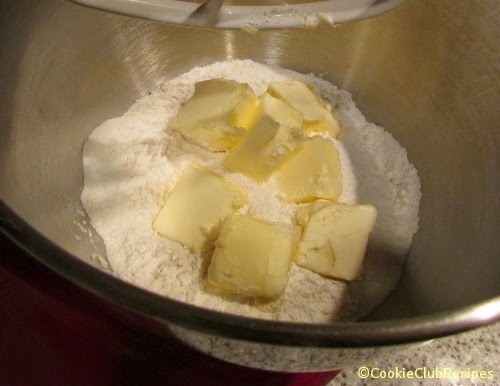 Mix softened butter and sugars together. Stir in milk and vanilla. Mix in flour. Spread cookie dough mixture over cooled bottom layer. And now, for the top layer of melted dark chocolate. YES!!! 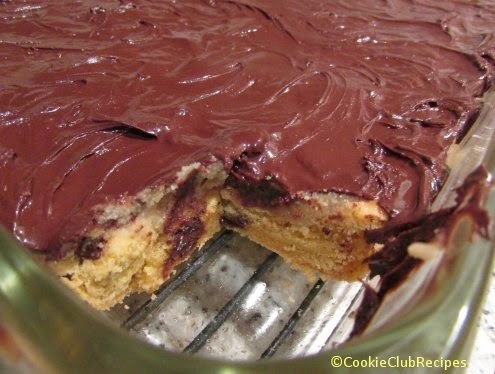 Spread melted chocolate over the cookie dough layer. Note: The original recipe said to cut bars and refrigerate at least 2 hours. However, if you don't mind gooey chocolate on top of your cookies, they are ready to eat now. For serving purposes, I think chilling them for 1 hour would be fine. And, because of the unset chocolate topping, I chose to cut them into bars later instead (AFTER being chilled for a few hours), and used my pastry cutter for nice straight edges. They turned out perfect, and to die for delicious! Originally submitted by Julie P.